A South Burnett musical will be performed at Toowoomba’s Empire Theatre in October this year, the first time a local production has trod the boards of the Darling Downs’ most iconic venue. 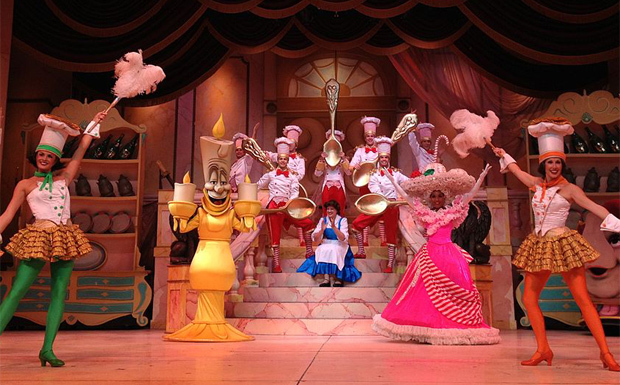 The South Burnett Musical Comedy Society (SBMCS) will be taking their production of Disney’s “Beauty And The Beast” on tour. The first weekend of performances being held at Maryborough’s Brolga Theatre, and this will be followed by two more weekends of performances at Kingaroy Town Hall before the show wraps up in Toowoomba. “The SBMCS will be performing for two weekends in our own beautiful city and it’s always an absolute thrill to tread the boards in front of the locals,” director Brad Boynton said. “While our group has taken productions to the Brolga Theatre in Maryborough a few times before, this production will be the first time we’ve ever taken a show to the Empire Theatre. To ensure the production hits the ground running, a production team needs to be put in place now, so the SBMCS is seeking Expressions of Interest for production team roles in the next two weeks. To lodge an expression of interest or get more information, email the SBMCS or call Brad on 0409-895-527 by March 12. You should supply your name, contact details, what role(s) you’re interested in and any previous experience you might have that might be relevant. “Previous experience isn’t required for many of these roles, though, so lack of any prior experience shouldn’t deter people if they’re genuinely interested in being part of a ground-breaking show,” Brad said.